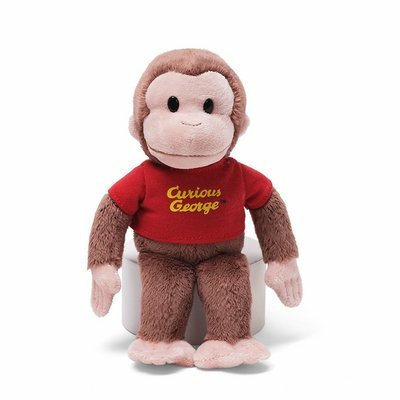 Classic Curious George in Red Shirt 8"
Home > Toys > Plush > Search By Animal > Monkeys > Classic Curious George in Red Shirt 8"
Curious George plush in a red shirt. Curious George is wearing a red shirt with his signature in yellow on the front chest. Made of a soft polyester plush. Measures 8" high. Also available with Yellow shirt and red lettering. Please specify which you want in the comments section of your check-out.